When autumn arrives as it has recently in 2017, people embrace the change of seasons from summer to fall in many different ways. Some folks love the colorful foliage, others anticipate the beginning of college and professional football seasons and still others can’t wait for the cooler temperatures. Many also look forward to hunting season just around the corner, as did a top flight Mid-Atlantic Championship Wrestling star in 1976…he was just “hunting” championship belts! 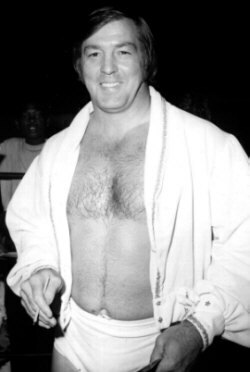 In that wrestling sense, I always think back during this time of year to an interview on the set of Mid-Atlantic Championship Wrestling television on September 8, 1976 when announcer Bob Caudle was talking to Tiger Conway, “Mr. Wrestling” Tim Woods and Dino Bravo at ringside. It was then that Woods gave his take on the change of seasons to fall that’s always stuck with me. By September of 1976 the team of Woods and Bravo had been unable to regain the NWA World Tag Team Titles they captured in the spring of the bicentennial year and lost back to Gene and Ole Anderson in late June. The Anderson’s were about to leave the Mid-Atlantic area for Georgia, in turn leaving Woods and Bravo to turn their attention elsewhere. Woods made good on his promise to declare open season on the area’s belts as he defeated Angelo Mosca in Greensboro, North Carolina for the Mid-Atlantic Television Championship on October 16, 1976 and then he and Bravo captured the Mid-Atlantic Tag Team Championships on November 3, 1976 in the finals of a month-long TV tournament in the WRAL TV studios in Raleigh, North Carolina. 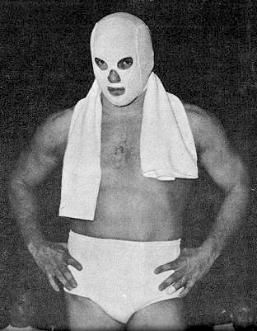 Bravo would also make a major run at Blackjack Mulligan’s United States Heavyweight Title, but that would have to wait until early 1977. So every year when fall rolls around, I still think of Tim Woods using the autumn of 1976 to proclaim it as his open season on all the belts of Mid-Atlantic Championship Wrestling, and making good on his proclamation by acing two of those coveted titles in short order. I really can’t honestly remember if the autumn foliage of 1976 was vivid or how quickly the temperatures dropped, but the hunting season of Mid-Atlantic titles that fall by Tim Woods was simply outstanding!